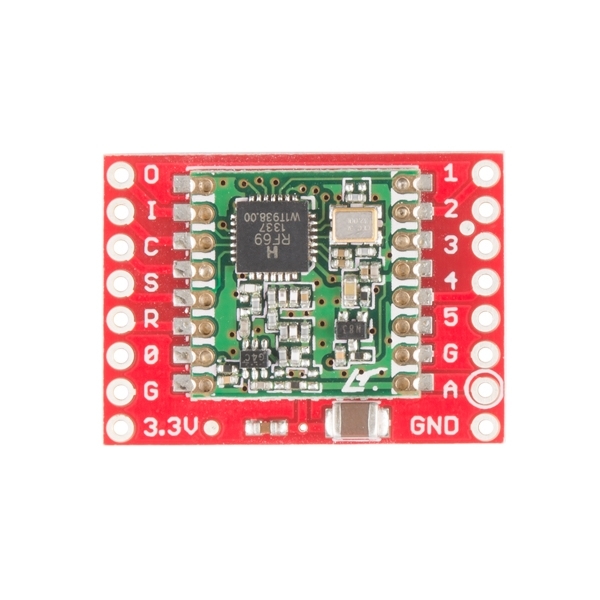 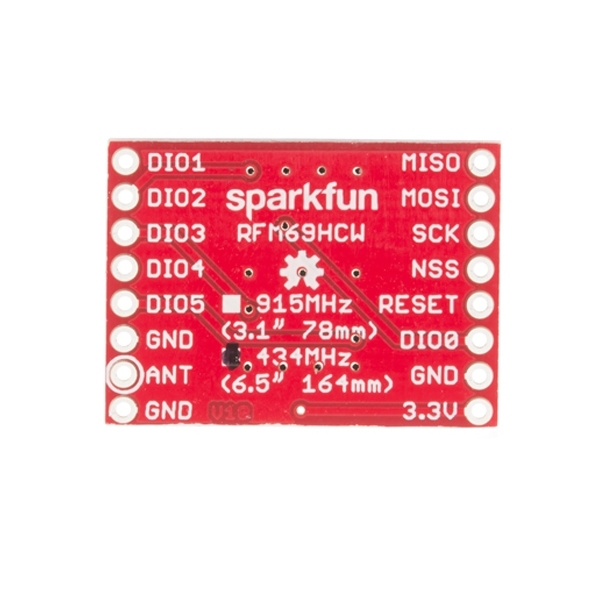 This is the SparkFun RFM69 Breakout, a small piece of tech that breaks out all the pins available on the RFM69HCW module as well as making the transceiver easy to use. 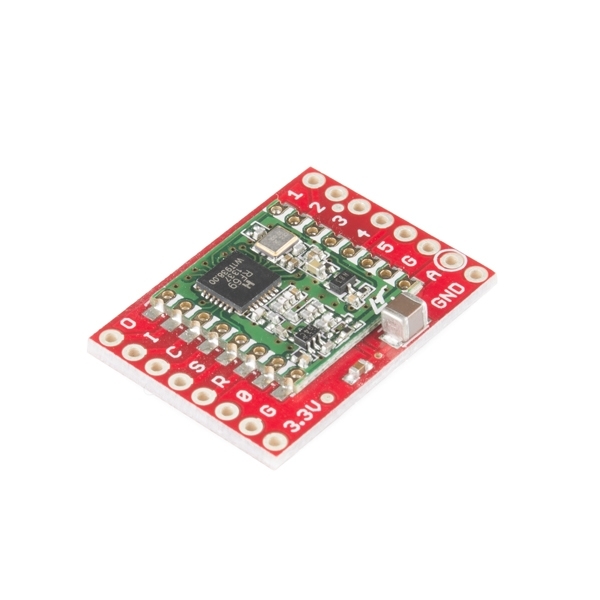 The RFM69HCW is an inexpensive and versatile radio module that operates in the unlicensed ISM (Industry, Science and Medicine) radio band. 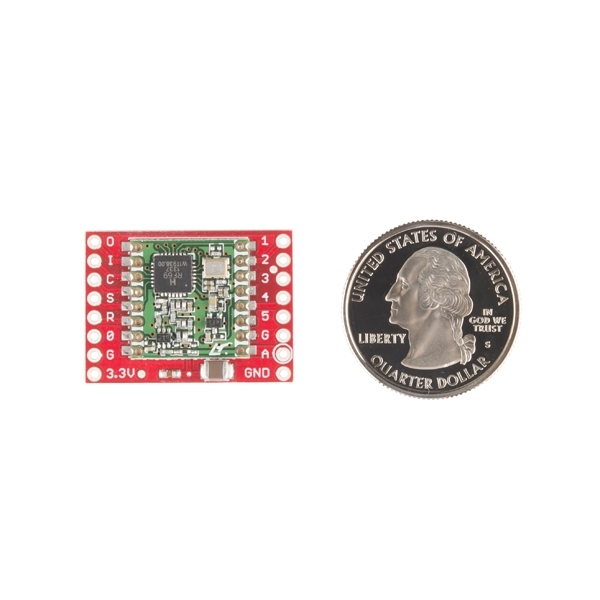 It’s perfect for building inexpensive short-range wireless networks of sensors and actuators for home automation, citizen science and more.